* We created the 30 Days to Settle program. This is a unique program designed to get you paid sooner! * One of our partners will meet you in person, at your home, the hospital, or our office, at a convenient time for you! * All of our clients have full access to our accident lawyers. We will leave you with our cell phone number and encourage you to call the partner you met with, anytime you need them or have a question about your case. * Ostroff Injury law has settled cases throughout Pennsylvania. Give us a call to tell us about your case. No pressure, no obligation to commit. Selecting a lawyer is an important step to recovery. Within 30 minutes we will be able to tell you how we can help you and schedule a meeting with one of our partners. 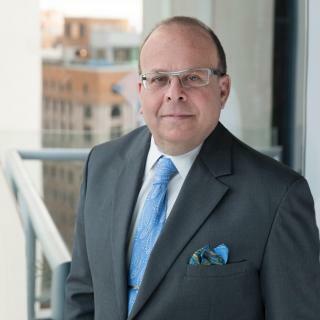 Ostroff Injury Law's Founder Jon Ostroff is an award winning lawyer with a deep commitment those affected by other people negligence. Jon Ostroff's understanding of insurance company's allows him to maneuver through the many layers of insurance company bureaucracy in order to obtain excellent recoveries for his clients. $5.7 million award to a woman who received brain and facial injuries in a truck vs. car accident. Ostroff Injury Law was able to prove that the truck driver and owner were responsible. $1.3 million award to a Wayne County, PA car accident victim who sustained an injury when his car was hit by a drunk driver. $3.1 million mediation recovery for an Allegheny County, PAmother and the daughter who suffered severe personal injury in a high speed car accident. A Closer Look: Another $1.3 million settlement. Our Sexual Abuse Lawyers force sexual predators to be accountable to their victims. We Give Insurance Companies 30 Days to Pay You or We Sue. Jon Ostroff and Louis Ricciardi discuss the details of their recent verdict in Hoang vs. Greyhound in addition to three more trials -each with four plaintiffs - against the motor-coach company.